According to the Inter -Ministries of Finance and Industry and Trade's announcement, petrol prices dropped at 3pm on December 21. As a result, the prices of E5 RON 92 and RON95-III fell by VND 394 and VND 318 respectively. Retail prices of E5 RON 92 and RON 95 are sold at no more than VND 16,787 and VND 18,141 per liter. Meanwhile the prices of diesel and kerosene decreased by VND 257 and VND 249 per liter. Their current ceiling prices are VND 16,001 and VND 15,003 per liter. The price of mazut also dropped by VND 394 to a maximum of VND 14,008 per liter. The two ministries also decided to keep the use of the price stabilization fund for E5 RON92 petrol. Subsidies for RON 95 were at VND 1,000 per liter, while mazut and kerosene were VND 1,400 and VND1,200. 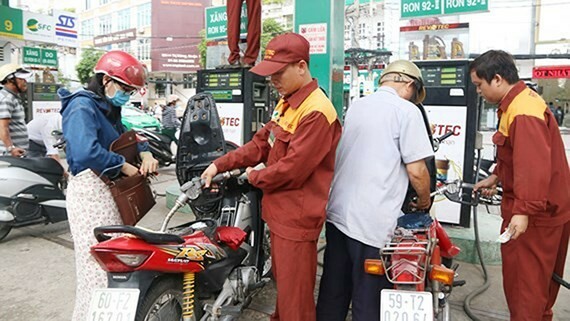 The local retail petrol prices have seen 5-time decrease since October with a total amount of VND4,000 per liter for E5RON92 and VND4,200 per liter for RON95. 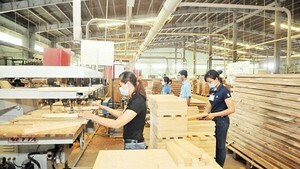 The Ministry of Industry and Trade said that it would strengthen trade barriers to protect domestic manufacturing, starting by an anti-dumping investigation into imported medium density fiberboard (MDF) products.